Google is changing the local search game, again, this time by providing a faster, more convenient way for small-to-medium-sized businesses (SMBs) to be listed in their vast index, through Google My Business. The recently launched Trusted Verifier (T.V.) program brings trusted business partners into the verification process, reducing the need for time-consuming Google My Business postcard verifications. Google is always growing, changing and providing ways to access information more efficiently and effectively. They have demonstrated this with the recent changes to the Google My Business Dashboard, plus their Get Your Business Online and Let’s Put Our Cities on the Map initiatives. All of which have shaped and enhanced local search. Even with these various options, many local businesses and brand managers responsible for tracking location information, continually run into issues associated with these Google My Business verification methods. As we all know, there are currently four main ways to verify a business, via postcard; or for select businesses, a phone call or instant verify; and the special bulk verification for businesses with 10 or more locations. Phone verification is simple enough and is a quick process. Instant and bulk verification are targeted. The postcard process continues to present issues with the wait to receive a pin number in the mail; it can take as few as three days, but can also be three months, if it is delivered at all. 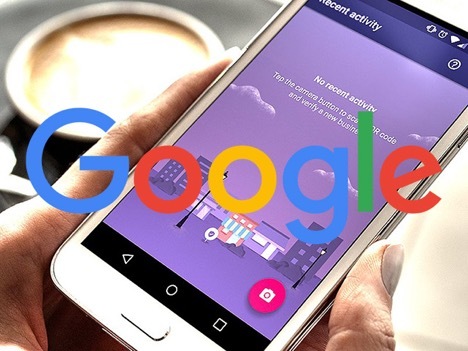 Now with the currently invitation-only Trusted Verifier program, Google has put the power to verify in the hands of select partners, expanding the ways in which businesses, including multi-site locations can be quickly verified. This is great news for Google, for SMBs, and for the digital marketers who support them. Justin Liles, Senior Vice President of Local Search from my company Advice Interactive Group, and Google My Business super user, just received the status of Trusted Verifier. For agencies to get accepted in the Trusted Verified program they have to go through a training process, created by Google, and pass two tests, one covering specifics about Google My Business, and the other, Trusted Verifier. When you receive the designation of Trusted Verifier, you obtain access to download the T.V. app. 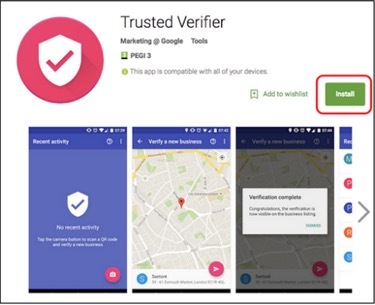 Through this Android-only (currently) app a trusted partner is able to verify a business, in person, from the business location, after reviewing the proper documentation. You can see how the app works here. All of the listed documents must be originals, not photocopies. With all of this information optimized, SMBs can take hold of their local presence and keep misinformation to a minimum. In my opinion, Google adding the Trusted Verifier program shines a light on Google’s business practices, and how they want to partner with the local search industry to make it easier for us to better serve our customers, and enable SMBs to provide accurate location data to their customers. I think this program will greatly benefit the quality of local search results and I am looking forward to seeing others in the industry become Trusted Verifiers as Google rolls out the program on a larger scale.